Sitting between the Range Rover Evoque and the Range Rover Sport. A new dimension in glamour, modernity and elegance, with emotionally charged DNA and unquestionable design pedigree. 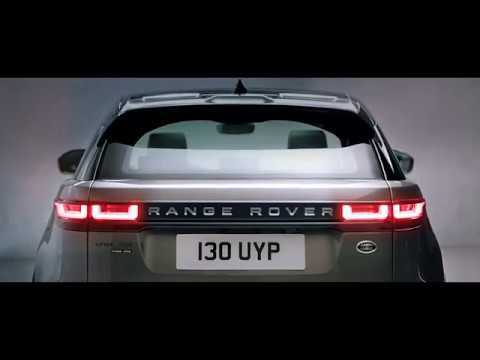 Click Here To enquire about the Range Rover Velar today. Range Rover Velar’s cabin exudes elegant simplicity. The familiar Range Rover interior design architecture, with its strong elegant horizontal lines, blends seamlessly with innovative features to give a feeling of calm, and enhance the driving experience. Two seamlessly integrated 10” Touchscreens and minimalist controls as standard, give easy control of the latest advanced technology. As the vehicle is started and comes to life, the revolutionary Touch Pro Duo technology reinforces the overall sense of luxury and innovation. Everything has been designed and crafted to help you and your passengers arrive relaxed. The twin sliding armrests, which operate independently, help maximise your individual comfort. Beautiful materials, including optional Windsor leather with a signature Cut Diamond pattern throughout the cabin, add a contemporary twist. Modern premium textiles, expertly constructed in collaboration with Europe's leading manufacturer of high quality and design led textiles, Kvadrat, are offered as an alternative to leather. The elevated position of our renowned Sports Command Driving Position, enables you to see further down the road and view your surroundings with greater clarity so you stay in control no matter what the conditions or traffic. The steering wheel has unique, hidden-until-lit switches on the steering wheel to reduce the number of controls within the cabin. These capacitive switches accomplish a host of functions that you want the vehicle to perform. More regularly used features such as media and phone can now be fully operated from the new steering wheel controls in combination with the Interactive Driver Display helping to reduced driver distraction. The Interactive Driver Display features an optional high-definition 12.3” Interactive Driver Display. You can interact directly with the display and can control your media, make and receive phone calls and select features to populate your chosen view. You are able to choose from three different views: Dual Dial, Single Dial or Extended. 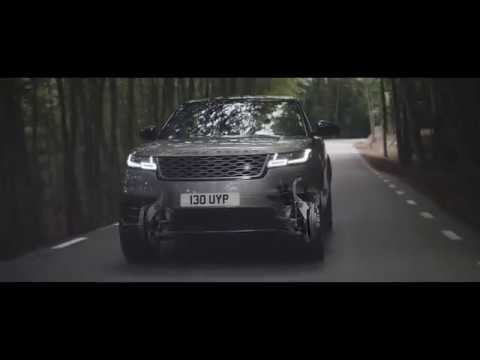 Range Rover Velar’s All Wheel Drive (AWD) with Intelligent Driveline Dynamics (IDD) fitted as standard delivers both outstanding on-road performance and the full off-road capability expected of a Range Rover. Working together, AWD with IDD continually optimises the engine torque distribution to the front and rear wheels to ensure maximum traction and fuel efficiency in all road and weather conditions. Uniquely developed to meet Range Rover Velar’s requirements, the highly durable transfer box uses an electro-mechanically activated multi-plate wet clutch to deliver smooth and precise distribution to the front and rear wheels. This ensures the constant optimisation is imperceptible from the cabin and available engine torque is maximised to give efficient vehicle traction.